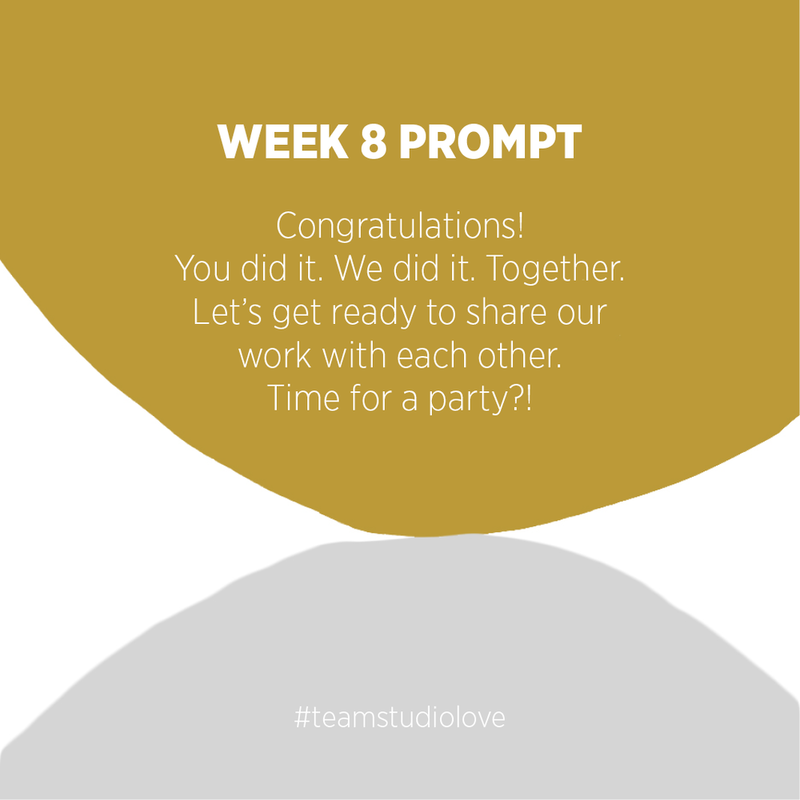 Round 2 Studio Love projects are getting off to a start this week (Mon, Oct 24). This round will be a little more free flowing. I'm planning to email out short prompts every Monday for the next 8 weeks based on the plan below. Feel free to get in touch if you are interested in joining the email list. Excited to share this space with you!! What project makes you want to sing, dance and shout out its name? Find a project and name it. Write a short description. Map out what you think it looks like over the course of the next 8 weeks if you feel inspired (and share it if you feel extra inspired). Announce your project to your inner circle. Try to make your inner circle as wide as possible :). Plan a field trip (a museum, nature, a new store?) to find some inspiration. Get to work and start getting your hands dirty. Notice new routines emerging in your life. 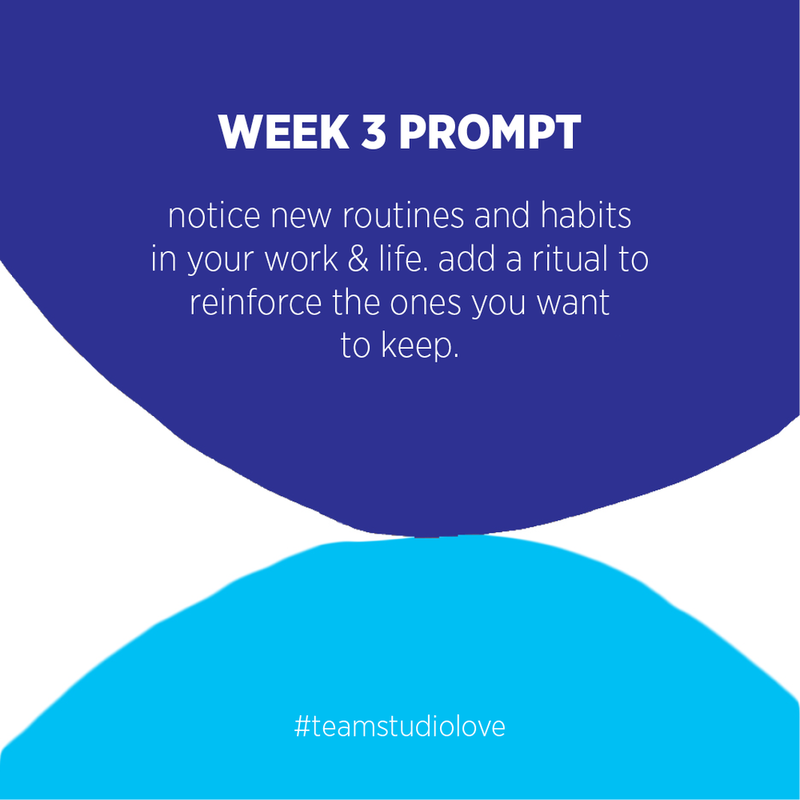 Add a new ritual to your practice to reinforce your new habits. As an example, I started looking east every morning to watch the sun rise and to be aware of the gift of each new day. Other rituals can be writing for 5 minutes in the morning or taking a walk or time to quiet your mind and focus on your project sometime during the day. 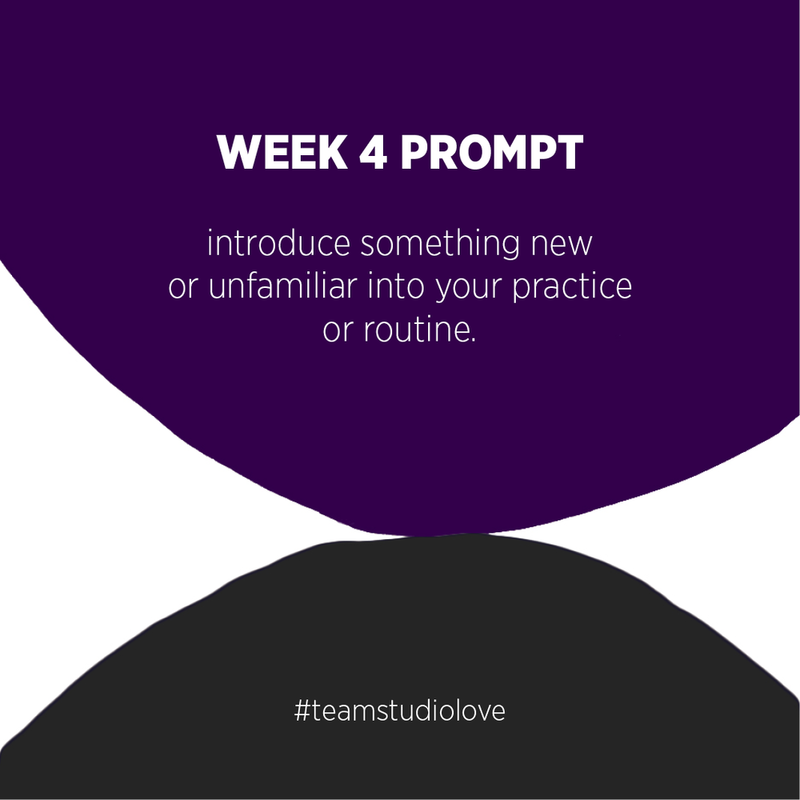 Try introducing something different, unfamiliar, or something just out of your comfort zone into your practice. Ask yourself if you need help. If so, push your comfort zone and consider reaching out to someone outside your inner circle for advice. 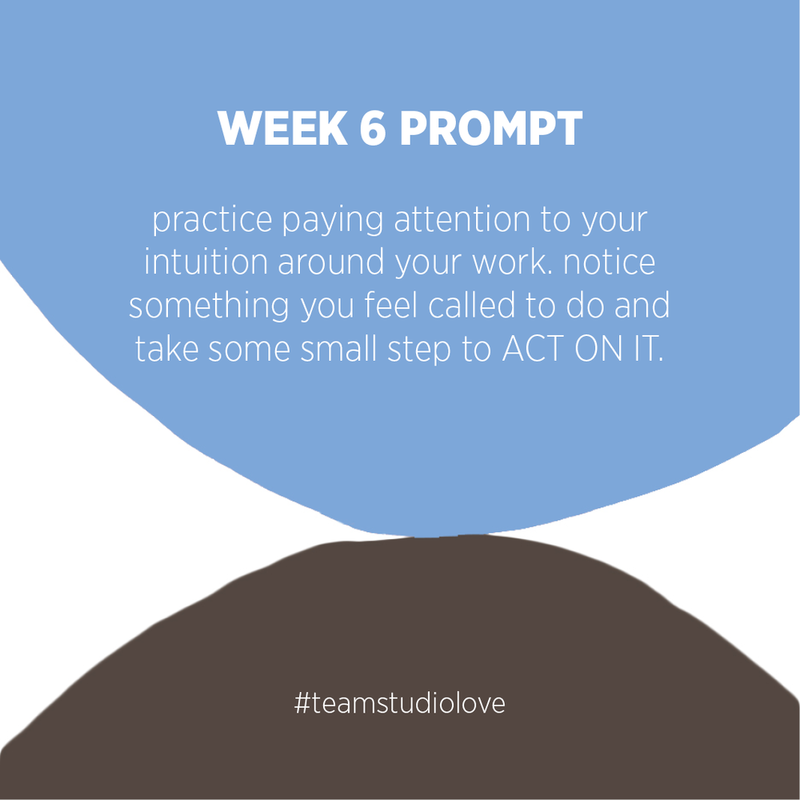 Practice paying attention to your intuition around your work. Notice something you feel called to do and act on it. "CRAMMING FOR FINALS" week. Wrap up your project and get ready to share with others (however big or small the audience you choose). "THE BIG REVEAL". Be prepared to share your work with the team this week. And also think about other ways and venues you may want to share it. Remember to celebrate and reflect on your progress on this ambitious project! !